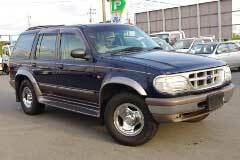 If you are a someone who needs a good car for lots of space, both for people and cargo, but you don't want a big SUV, what should you do? Of course minivans are an option, but even those are not the most economical answer for many people, and in fact don't get quite as good gas mileage as some cars, such as compact SUVs. In fact, the combination of SUV features with the cost and function of a small car can be a great option for many families. Ever seen a Jeep Wrangler, that small but rather crude vehicle driven all over the US? 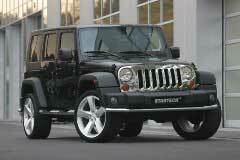 This Jeep Wrangler has come to symbolize the compact SUV. While the Wrangler is one of the smallest SUVs available, it can still hold plenty of cargo as well as four or more adults in its interior. That is just one example of a compact SUV, however; these days, there are many others, made by Jeep and other car producing companies as well. One of the main differences between compact SUVs and big SUVs is the change of the huge truck frame to a smaller, car-styled frame. This makes for larger room in the car's interior, a smoother ride, and allows for a more attractive vehicle in general. The price does go up, however. And on top of that, compact SUVs don't have the ability to tow large vehicles quite the way big SUVs do. Hyundai, Honda, and Mitsubishi all make compact SUVs, as do many other vehicle manufacturers. The type of compact SUV that best fits the consumer's needs is based on how much size and space you need, as well as how many people and how much cargo will typically be stored. It's important to note that one of the big differences between compact SUVs and big SUVs is the gas mileage. Compact SUVs, because of their design, receive several more miles per gallon than big SUVs do. Purchasing a compact SUV may end up saving you hundreds of dollars in your monthly budget when it comes to gas consumption, as well as reducing your impact on the environment if that is important to you. For this reason, a compact SUV might be a better choice than a larger SUV. However, if you plan to regularly haul around a boat or another car, or simply have a large family that you need to transport or carpool to and from work, it might be better to go with a big SUV. Aside from their increased size, big SUVs are typically sturdier and may be better when it comes to safety. However, SUVs are known to roll around because of their higher center of gravity - at least the big ones. The compact SUVs tend to be safer because they are smaller and lower to the ground. Of course, safety is always a matter of the situation of an accident, so a compact SUV might not be safer in all situations. Picking between a compact SUV and a larger SUV can be something of a tough choice, so it pays to shop around and compare the benefits of each. You can start by making a list of your needs and your family's needs. Who will be driving the vehicle most often, and how much cargo space will they need? Are children going to be transported in the vehicle, or adults? Is the car for work or pleasure? Will you be taking vacations, and how important is gas mileage? These are all things to consider when deciding what type of SUV to purchase for your family's needs. Gas mileage, use of the vehicle, and comparisons of size and utility are definitely things to take into account.